For my next christmas card i have tried to replicate a bit the shadow box effect. 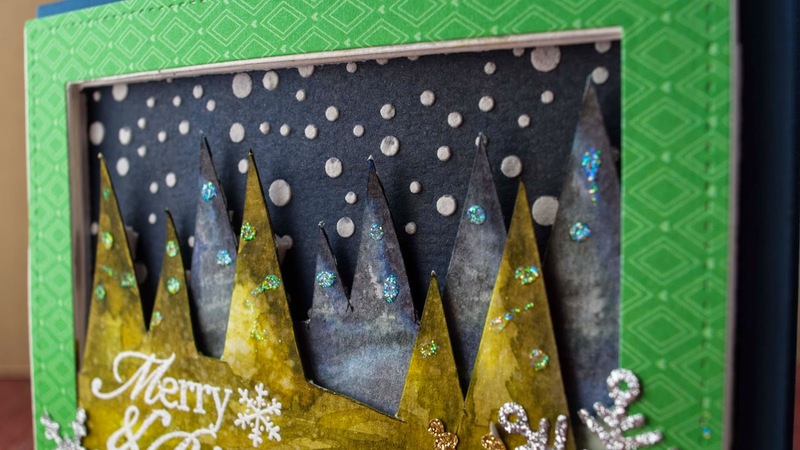 And i did that by layering 2 frames with hills and christmas trees on top of each other, and then boxing them with a rectangle border. As i do not own a tree hill die i decided to make my own. So using a template triangle i traced some hills and trees and then i cut everything using my thumb knife. To color in the trees i used 2 different color schemes. One in green distress inks, and one with more grey blue. I did this because only the trees in the front you can see better in a scene like this. 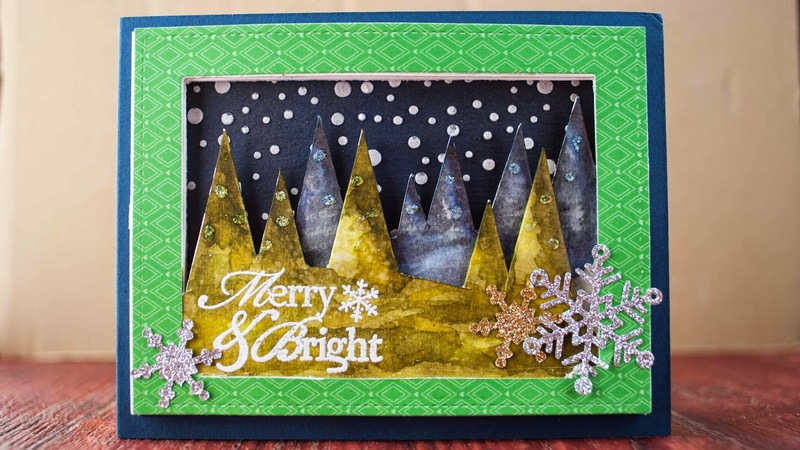 For the background i used a falling snow stencil from simon says stamp, and some white embossing paste.